Some improvements was made in the Retail POS screen. The Total and Change is now bigger. The 'Sales By Cashier' report has been improved. ROBOTILL uses SQL Server for speed and stability. Some changes in the system was made to make it even more stable and robust. 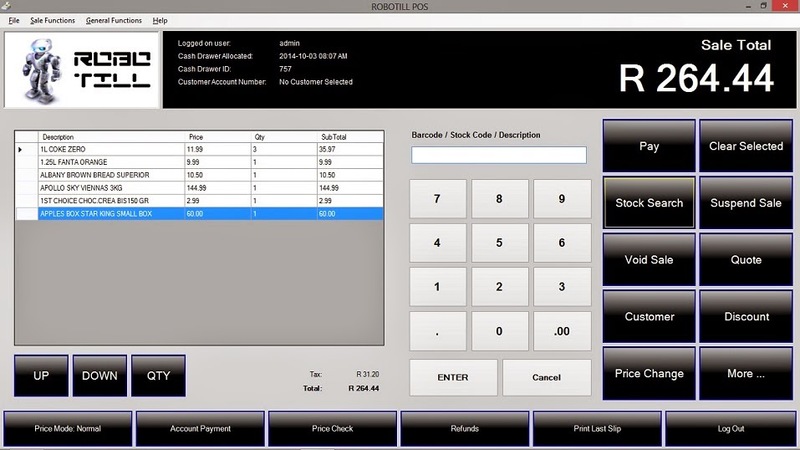 ROBOTILL is a Point Of Sale (POS) system for retail shops and restaurants. ROBOTILL has a FREE Edition that does not expire. Customers of ROBOTILL can upgrade to the latest version free of charge. If you have an older version of ROBOTILL installed, please follow these instructions to upgrade to the latest version.